After the first experience in communicating with Asian colleagues I was convinced, that most of our misunderstandings would be about the poor English. So I decided to learn Chinese language… My first words were 八 (bā – eight) and 〇 (líng). We were unloading a container and had to sort the boxes according to the numbers written on. My boxes were number 8 and 0. It took me about a year to understand, that those “misunderstandings” were not about the language – it was all about the culture. But the more I learned from Asian cultures, the more I was aware that the language is a key to a culture. So I got a self-learning book and began to learn Chinese language. Soon I found out, that intonation plays a key role in the meaning of words. I went out and bought another book, this time with a CD inside. In the mornings, when I was sitting in the bus to my working place, I listened to the recording and improved my intonation (I am a Laofutze, my dad is a Laofutze and we do not care for appearing stupid in public – except for the only aesthete of the family). And after a full working day with great Chinese business partners I simply was too tired of anything Chinese.After about six months my efforts in learning Chinese language faded out. Since we have a certain amount of Chinese citizens in the town I live in, it was easy to find a Chinese person, who would like to exchange language skills. After several attempts I gave up due to the inefficiency. Teaching a language requires more than speaking it. I came in contact with Ms. Clary Xue, who did an academic research on learning Chinese online. Unfortunately I was too late to take part on this research, but we kept contact. 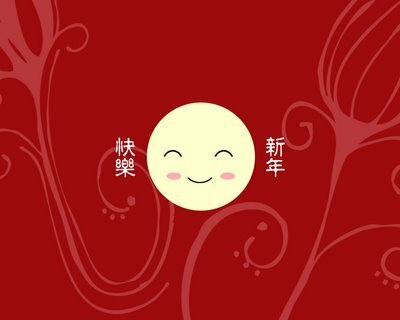 After some months I booked an introduction to Chinese learning InspiringChinese.com . 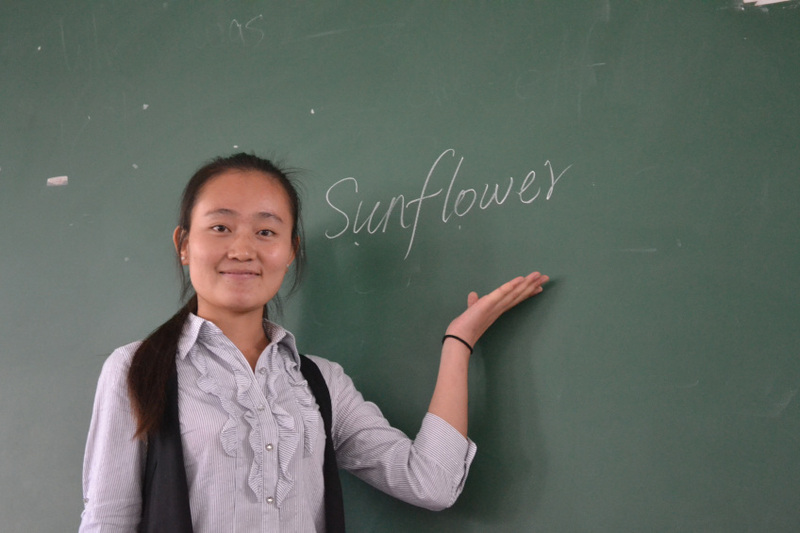 Since Ms. Xue is located in Beijing, we communicated on different online based platforms. The online interactive whiteboard is a great help. BTW: got a tablet meanwhile. Improves my life. Ms. Xue checked my skills first. Guess she found some basic ideas about intonation and Pinyin. After one lesson I had a set of vocabularies to cover the first words on a formal encounter. For communication we used VOIP and an interactive online whiteboard. The lesson included “homework” and documentation, which I received a few hours later by email. After repeating the previous lesson we started with new words. Ms. Xue has a defined curriculum and enlarged my vocabulary to the first sentences. Now I can introduce myself as well as other people. Chinese obviously people like relations, so often a title is attached to the family name (“laoshi Xue” for “teacher Xue”). There are words for each member of the family, like younger brother “didi” or older sister “jiejie”. In the internet I even found the word “xiaojiuzi” for “younger brother of the wife”. In these lessons Ms. Xue had a hard time with me. Due to personal circumstances I could not focus well on the lessons. Some days later I received an audio file as a review of the previous lessons. As a customer of Deutsche Telekom (which provides my telephone and internet line), I sometimes can make phone calls and surf the internet. In trying to improve this state, an engineer of the Deutsche Telekom began his job shortly before the lesson and interrupted it later on. Today we went through simple conversations. I learned how to invite someone and to make an appointment. Ms. Xue introduced me to the word “le”, which indicates a completion of an action. Now I got a little further in conversation. 他的 外祖父 去 英国。 他 married 王后 Anne 也 是 国王。 他的 名字 George I. 词 “tea” (德语 “Tee”) 去 广东语 (caa4/taa4)。 欧洲人 说 “tea” 即使 我们 卖 给 广东。 “Tea” 去 跟 船。 别的 国 卖 茶 在 丝绸之路 (silk road)。 俄国人 也 阿拉伯人 说 “Chai” (Tshai). 他们 卖 给 中国 北方。 中国 北方人 说 茶叶 [茶葉] cháyè (tea leaves). 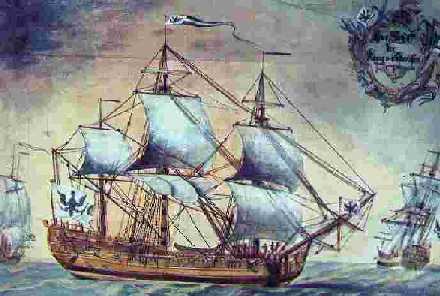 (Europeans transported the tea by ship from southern China, so they also took the Cantonese “taa4”. 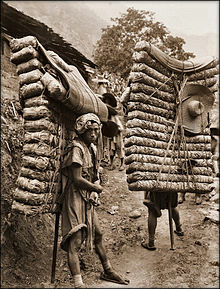 Other countries transported the tea by land, so they bought in northern China and adopted the Mandarin spelling “chaye”. 1840 英国人 作 茶 在 印度 and grew there with industrial methods for a much cheaper price. They combined an Indian tea-plant with a Chinese one and achieved a tea according to Indian climate. 有意思 德国人 跟 中国人 喝 差不多量 的 茶. 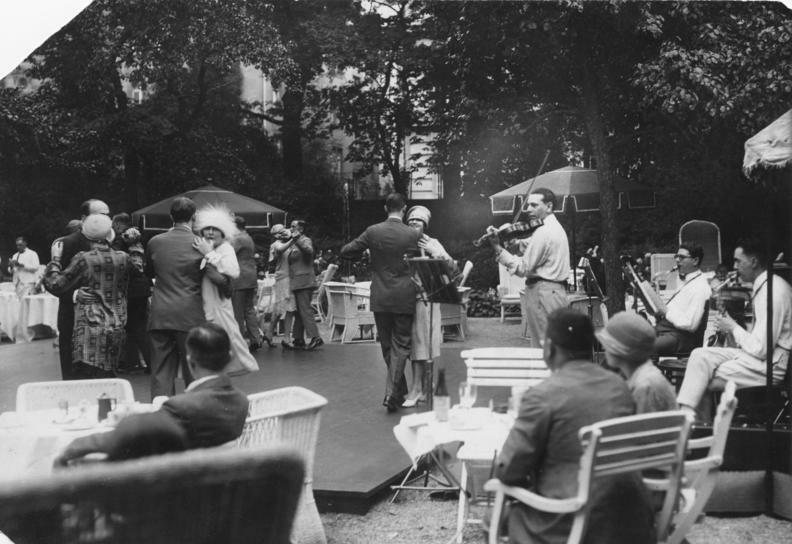 1920 it became popular for young people to go to a “Tanztee” (“Dance-Tea”). 和 茶 和 跳舞。 That young people 跳舞 Charleston and Foxtrott, which was scandalous that time. 1926 我的 外祖母 met 我的 外祖父 at a “Tanztee”. 以前 175０ 啤酒 最 safe drink。1750年(nián)以前(yǐqián)…. 175０ 也 茶 是 safe drink。 1750年(nián)茶(chá)也(yě)是(shì)…. 有意思 德国人 跟 中国人 喝 差不多amount of 茶. Study Droid: nice DIY flashcards for Android smartphones. Pinyin editor from Chinese-Tools for entering phonetic symbols. However, for those who place a high emphasis on collectivism, cooperative behavior and harmony with others, especially with persons with whom one is similar, is normative and is likely to ensure positive evaluations in accountable negotiations. In the low-accountability condition, those who had high levels of collectivism reported less cooperative intentions and behavior, and achieved lower outcomes, as compared to representatives with low levels of collectivism. 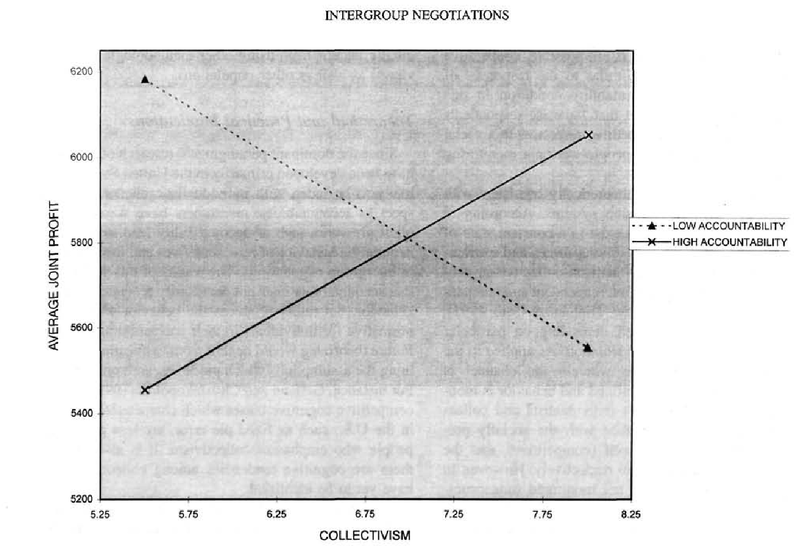 However, the current research suggests that negotiators’ behavior depends both on the nature of the negotiation situation, as well as on negotiators’ collectivism. Applying this to cross-cultural investigations, this suggests that broad generalizations about the negotiation styles of cultural groups, which does not take situations into account, are likely to be inappropriate. Read the full essay online or download as pdf. Get his material here or download a pdf from Schulz von Thun directly here. For more information please visit his website http://www.schulz-von-thun.de/ or check his portrait at the Akademie für Konflikttransformation. German users may refer to additional information on his website. Deutschsprachige Besucher finden hier weiterführende Informationen. Within the same culture exists a common system of values, experiences and communication. Leaving this common ground can lead to typical misunderstandings. „Words cannot express a thought completely“ noted Confucius about the I Ging. He was aware of the limitations of language. For expressing a thought, Confucius needs the impression (picture), the character (logograph) and finally adds his finding (or taking action). Logographs are not meant to express a thought precisely or distinguish different approaches. A single character can have different meanings, so it needs a lot of imagination, or active listening to understand a message. Sentences need to be “encoded” or interpreted by the recipient. (See E.T. Hall – High Context Cultures.) To understand the specific content it needs additional information (context). Content Layer (less distinct) In Chinese culture the Content layer needs additional information to understand. It is influenced by other layers more than in German culture. When the Content Layer leaves space for different interpretations (in respect of other layers), it harbors the risk of misinterpretations. Words are chosen more carefully for leaving enough space for the recipients. Relationship Layer (highly distinct) How a content is delivered may also indicate the relationship between the sender and recipient. For making sure, that the CL is completely understood, the RL must be taken into account. The same content can have very different meanings depending on the recipient. Relationships have a long perspective (Long Term Orientation) and should be treated with priority. Appeal Layer (highly distinct) Since the Relationship Layer plays such a dominant part in communication, personal wishes are not clearly said but expressed in appeals. Content Layer (less distinct) The unspoken additional context leaves space for different interpretations. A Chinese recipient would not react spontaneously to certain words, but rather to situations. Words itself represent only limited information for Chinese recipients. A Chinese recipient usually adds different sources for information (body language, situation, sound,…) by himself. The Content Layer is only one layer of others and represents only a part of the message. Other layers may play a more important part in understanding a message. Relationship Layer (highly distinct) The way the content is sent plays an important role to understand the content itself. The content depends on the estimated value for the recipient and can vary. Self Revealing Layer (less distinct) The way the sender stresses the Self Revealing Layer points at the recipient, and not to the sender. When stressed, than for pointing at the recipient, and not to the sender. Appeal Layer (highly distinct) The Appeal Layer is highly developed in Chinese culture. The “Chinese Appeal Ear” notices all indirect expressed wishes to balance the relationship. It helps to understand the Content Layer and corresponds with the relationship Layer. Neglecting the Appeal Layer can lead to deep conflicts in relationships. Content Layer (highly distinct) A German sender expresses himself as clearly as possible to avoid misunderstandings. In opposite to Chinese senders, language is not regarded as a source of misunderstandings. Abstract information can be expressed comparatively well defined. Clear words are regarded as honest and true. The Content Layer is also used for expressing “the unspeakable”. Criticism is widely used to show how much the sender cares. Relationship Layer (less distinct) Relationships are shown in deeds and not in words. Being punctual or keeping promises is widely felt as a sign of sympathy, respect and honesty. Neglecting settlements can cause severe damage on a relationship. Self Revealing Layer (highly distinct) Expressing (and/or discussing) personal thoughts and moods is often felt as “being close to someone”. It is essential for any relationship to share those personal matters. Different opinions are respected or appreciated. Appeal Layer (less distinct) German senders usually do not respect the recipient’s situation. Messages are clear and usually do not content hidden messages. 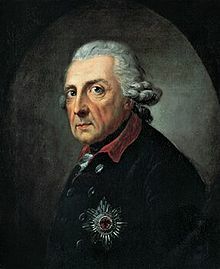 Therefore Germans are respected as trustful and honest, but also naive and awkward. Content Layer (highly distinct) Germans tend to stress the Content Layer in communication. A German recipient focuses on this layer most, neglecting other layers. The content of a message can be understood without or a minimum of additional information. Small Talk is often seen as unpleasant and inefficient. Often German senders “hide” other layers within the Content Layer. Emotions or “unspeakable messages” are drawn into the Content Layer. “True and honest” words can be felt as insult, and often enough meant this way. Relationship Layer (less distinct) The Relationship Layer is not very distinct in German culture. A relationship is often shaped on the Content Layer. Authenticity and reliability make a person trustful. Keeping settlements is a good way to show respect and/or sympathy. Self Revealing Layer (highly distinct) German culture is highly influenced by the idea of individuality. Sharing very personal thoughts can be a good way to approach other individuals. A German recipient needs this information to establish a relationship. A person holding back personal thoughts is regarded as not trustful, hiding something or “being fishy”. Appeal Layer (less distinct) On the Appeal Layer the German recipient is mostly numb. The ability of “active listening” is not much developed. It is hard for a German recipient to understand implicit messages. Not corresponding on the Appeal Layer is often felt as “cold” or impersonal. Abschiedsvortrag von Schulz von Thun in Hamburg im November 2009, absolut sehenswert: http://lecture2go.uni-hamburg.de/veranstaltungen/-/v/10197 . Friedemann Schulz von Thun erzählt von seinem Leben und Wirken anhand seiner Theorien. One cannot not communicate. Even silence already contains a message. Human being communicate both digitally and analogically. Relationship has content and a relationship aspect. Facts and data is transported on the “Content Layer”. How this message should be understood is transported via the “Relationship Layer”. The relationship layer is mostly is unconsciously transported by body language (especially facial expressions), gestures or the tone. Encoding and decoding of these information plays an important part in communication. The nature of a relationship depends on how the two parties punctuate the communication sequence. All communication is either symmetrical or complementary. Every communication string is circular. It is an interaction between two or more partners. Behavior is a reaction on a previous situation. It also is impulse, boost or reduction of further actions. If previous behaviors or messages dominate the way we communicate, it can cause conflicts. Read more about the development of Watzlawick`s ideas by Schulz von Thun here. Gregory Mavrides from the Middle Kindom Life wrote an article about the differences between Chinese and English names and gives a guideline about how to choose a foreign name in China. Download the whole pdf here or here. See the full post at Force Feeding Duck Style about the naming os students. The Force Feeding Duck Style actually is a great blog about a Westerner’s life in China. Since I mentioned how Chinese people find their western names, here is an example of how a Westerner found his Chinese name. It is adopted from the phonetics of my family name. It has a double meaning. One meaning is that Lau Fu Zi was a Chinese philosopher. Since Chinese philosophy aims at being wise as a whole, it refers to my interest in learning about Asian cultures. The other meaning is a character from a cartoon “Old Master Q”, which was popular in the 70s. Ever thought why the Chinese character for surname is formed by a feminine character? The ancient Chinese name included 4 parts: family name, given name, zi and hao. For example, the famous poet in tang dynasty Libai, “li” is his family name, bai is his given name, and his zi is “taibai”, his “hao” is “qinglian jushi”. 3.《百家姓》the book of family names. For the best introduction to Chinese culture ever download Ms. Li’s complete article as pdf here.